Tap in to the abundance of opportunities for trades like plumbers, electricians, gas engineers, roofers and other trades. Full-time, part-time or just looking to top up your work schedule? 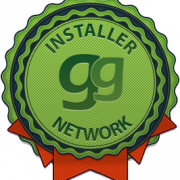 The Glow Green installer network provide some of the best rates in the industry. Working hours are completely flexible to work around your schedule. Glow Green provide the boiler and all parts through a supplier in your local area. Glow Green’s Engineer Network is now open! Hold the CTRL key to select more than one. Which types of boilers do you install? 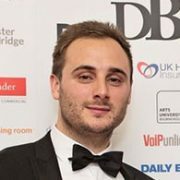 Winners of Dorset Business Awards, Entrepreneur of the Year, Barclay’s Colleagues Choice Entrepreneur of the year 2016 and other industry accolades. Glow Green has formed a partnership with the UK’s only genuine multi-utility supplier, Utility Warehouse. We plan to offer Glow Green’s boiler installation and care plan services to their 600,000 customers which we can market to without having to compete with everyone else. Together our ambition is to become the UK’s largest Boiler Installation and Cover business. The new power couple of the boiler industry! Utility Warehouse supply energy, home phone, broadband, mobile and home insurance services to 2.4 million homes, who benefit from substantial savings, the simplicity of having just one bill, and outstanding customer service. They pride themselves on offering the best customer service and have won a total of 25 awards from Which? magazine over the past 10 years. They don’t advertise, but grow through word of mouth from 40,000 independent Partners, who recommend them to friends and family. “This is a fantastic opportunity for you to join Glow Green’s National Network of Trade Specialists. Once you’ve been vetted, you choose to take on as much or little work as you want with zero commitment. It may be that you’re looking for regular work to help you scale your business or perhaps you just want to take on work here and there to fill in gaps when you’re quieter, how you choose to utilise the network is up to you. Glow Green are now one of the UK’s fastest growing, boiler installation and Home emergency Insurance business, due to our new partnership with Utility Warehouse. We’re looking for qualified and experienced tradesmen to join our network and grow alongside us.